The Online Learning Center (OLC) is maintained by the Online Learning Services Subcommittee (OLSS) and AAPM staff. 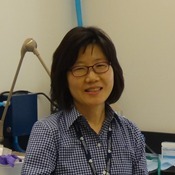 Access to the OLC resources is included in AAPM membership. Some resources have an additional activity which is approved by CAMPEP for Medical Physics Continuing Education Credit as described below under "Continuing Education Credit (MPCEC)". To participate in the educational activity including a post-assessment (quiz) in each enduring material, an annual subscription is required. The quizzes are prepared and reviewed by volunteers and the OLSS members. A multi-step review process is involved before they are published online. Currently, there are more than 450 quizzes that can be used toward Category 1 CME or self-assessment CME. For example, 52 credits are available under "Diagnostic Radiology/Mammography" category for members to fulfill the MQSA continuing qualifications, 16 credits/36months. The resources continue to grow and be updated with new enduring materials. We frequently send out an invitation to write or review a quiz that consists of ten multiple-choice questions. Please accept the invitation when you can, and help us to help the medical physics communities. You may also let us know if you want to be included in the writer/reviewer pool. Your feedback is valuable and will help us to further improve the quality of the OLC. Members have the opportunity to earn CAMPEP approved Medical Physics Continuing Education Credit (MPCEC) or ABR MOC SA-CE credits for successfully passing quizzes associated with informational sources such as journal articles, AAPM Virtual Library presentations, task group reports, and other publications. This is a CAMPEP approved program. For each quiz successfully taken, a member can earn 1 MPCEC. Each MPCEC is equivalent to a Category 1 credit. If you elect to receive a SA-CE credit the ABR will count the quizzes as(SA-CE) activities. To view your credits, sign onto CAMPEP for viewing of MPCEC credits or sign onto the CME Gateway for viewing the SA-CA credits. 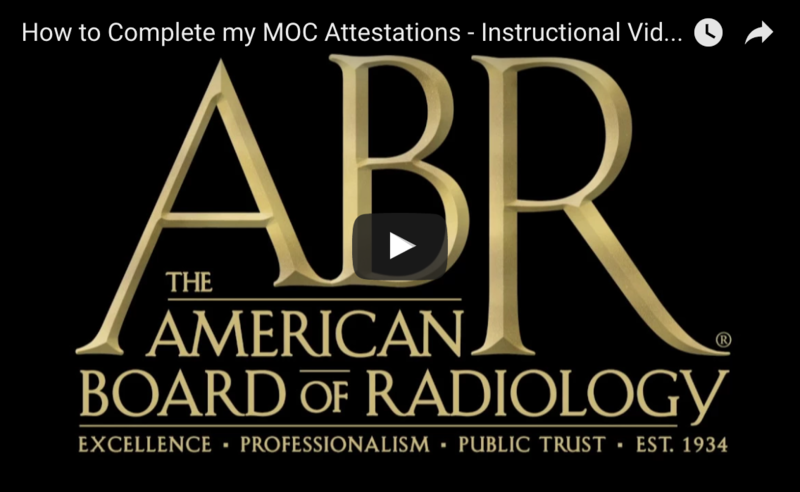 ABR requirements can be found at MOC. *NEW** The ABR no longer requires you to enter or upload detailed information regarding your MOC requirements. After you attest on myABR, simply retain your documentation in case you are selected for an MOC audit. Information on the ABR attestation process can be found at attestation-faqs. Must correctly answer 8 out of the 10 questions. Cannot attempt the same quiz in the same 24-hour block; you must wait a day before attempting the same quiz. Each participant must sign onto the CME Gateway. Select Commission on Accreditation of Medical Physics Educational Programs (CAMPEP) via the organizations tab. Enter your CAMPEP user ID and password and click register. Click on the Reports Tab to view the MPCEC credits that will transfer to the ABR. AAPM transfers MPCEC credits earned by you to your CAMPEP transcript on a daily basis. AAPM transfers SA-CE credits to your CME Gateway transcript on a daily basis. Many AAPM members now require Maintenance of Certification (MOC) as defined by the American Board of Radiology (ABR). At least 75 continuing education (CE) credits are required every 3 years. CE credits may be met by a combination of Category 1 credits (CAMPEP or ACCME)and self-directed educational projects (SDEPs). At least 25 of the 75 CE credits must be self-assessment CE (SA-CE). Other than ABR prequalified SAM and SDEPs, the ABR will count all AMA Category 1 CME activities in “enduring materials” (including webbased and print) and “journal-based CME” formats toward the MOC self-assessment requirement. SAMS are not required, but can be used to meet the (SA-CE) requirements. Information regarding the MOC requirments can be found at What is MOC. ABR approved SAM are now available and accessible to individuals registered in the AAPM Online Learning Center: The Online Learning Center runs on a calendar year. The annual fee is $75. View all presentations associated with each SAM Module and respond to all questions. No pass or fail. Upon completion of the presentations return to the SAM Offerings, via the virtual library link on the online learning center page. select the recently view SAM module. The link to the quiz is at the bottom of the page. The quiz must be taken to receive credit. You must pass the quiz with a score of 100%. You must wait 24 hours for multiple attempts. Members please log in to access SAM Offerings. Each participant must sign onto the CME Gateway. Click on the Tab titled "Participating Organizations". Enter your AAPM user ID and password and click register. Click on the Reports Tab to view SAM Credits. We are currently working to produce and post additional SAM from a wide variety of sources. Additional SAM offerings will be uploaded as they become available. Constructive comments are always appreciated. *If you have any questions or suggestions on how the Online Learning Center can be improved, please send them to Mi-Ae Park. Every attempt will be made to incorporate improvements as quickly as possible. Problems encountered with the website should be directed to webmaster@aapm.org for quicker response. Online Learning Center needs Question Assignors, Writers and Reviewers.